If you are entering menopause or are experiencing unwanted symptoms of menopause, Dr. Anya Rose is available to help. At Rose Women’s Health, located in Arcadia, CA, Dr. Rose is a Board Certified Obstetrician/Gynecologist who provides menopause counseling and treatment methods for her patients. Discover the reasons you should see your OB/GYN for medical care during each phase of menopause. How Do I Know If I am Experiencing Menopause? Menopause is a natural process that occurs in women who are declining in their reproductive processes. Women begin to enter menopause as their reproductive hormones decrease. Menopause typically begins for women during their 40s or 50s. It is marked by a 12 month period in which you do not get your menstrual period. Signs of menopause vary but often include vaginal dryness, hot flashes, anxiety, and depression caused by hormonal fluctuations. What Can Dr. Rose at Rose Women’s Health Do for Menopause? If you think you are entering menopause, or you are currently experiencing menopausal symptoms, it is best to consult with an OB/GYN. Dr. Rose will evaluate your hormone levels and reproductive organs to determine what stage of menopause, i.e. 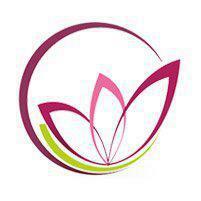 pre-menopause, menopause, or post-menopause, that you are currently in. Dr. Rose will then provide you with menopause counseling and other treatment options to help alleviate uncomfortable symptoms. These treatments may include hormone therapy, antidepressants, or vaginal estrogen. Osteoporosis is a health condition associated with menopause, and Dr. Rose can provide medications to prevent and treat this bone loss condition. What Are Some of the Health Concerns Associated with Menopause? Typically a woman will go through menopause without any major health concerns resulting from the condition. However, there is a chance that you could experience sexual dysfunction due to vaginal dryness or lack of libido. Urinary incontinence is associated with vaginal dryness as women lose elasticity along with moisture. Dr. Rose can help you improve sexual function and urinary incontinence using medically approved treatments. Another medical condition associated with menopause is cardiovascular disease since estrogen levels decline during menopause. Osteoporosis is one of the more well-known concerns for menopausal women, as bone density usually declines at this stage in a woman’s life. To receive the medical care you need and further guidance on what to expect during menopause, contact Dr. Rose at Rose Women’s Health serving Arcadia, CA. We accept most traditional PPO insurance plans and Medicare. Please contact our office to verify acceptance of your plan. Qualifications for insurance coverage may differ due to the uniqueness of each procedure. If we are not contracted with your plan, please let us know. "I've been very happy with the services I've received with them and plan to stick with them for my entire pregnancy. I highly recommend them if you live in the area." "Love this practice- very clean friendly staff and Dr. Rose was the best... I am very happy I found this office. I would definitely recommend her to anyone." "Dr. Rose has been by far the best. She was very approachable and takes her time to answer all the questions I had." "Dr. Rose has a wonderful bedside manner, she is easy to talk to. Like a friend, she listens to your concerns, answers your questions realistically..."
"Dr. Rose really cares about the patients. Her staff was very polite, friendly, respectful. I am sure of one thing- I don't have to look for another gynecologist." "I love Dr Rose, she has been nothing but caring polite and went that extra mile for me and my 3 daughters." "Dr. Rose takes the time needed with her patients. She listened to all my concerns and answered all my questions." "I can't say enough about my visit to see Dr. Rose. She is a very compassionate provider that is devoted to her patients." "Excellent bedside manner and wonderful person. She delivered my 2 babies. I highly recommend her." "Dr. Rose is an extraordinarily compassionate human being that I am very grateful to have as my physician."